Thanks for stopping by! Welcome to my little corner of the web. My ode to all things automotive. 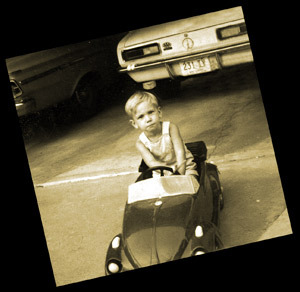 Yes, the little guy in the picture is me with my first red convertible. (It took 30 years to get another one.) I like this picture because it's proof that I've been obsessed with cars pretty much all my life. I've never really had much interest in anything else. Except maybe art. When I was a kid I found that I also liked to draw and be creative too. So I've always looked for ways to join these two passions of mine. Today, I make my living as an industrial design consultant and have designed products for companies such as Nike, Lowe's, and Motorola. 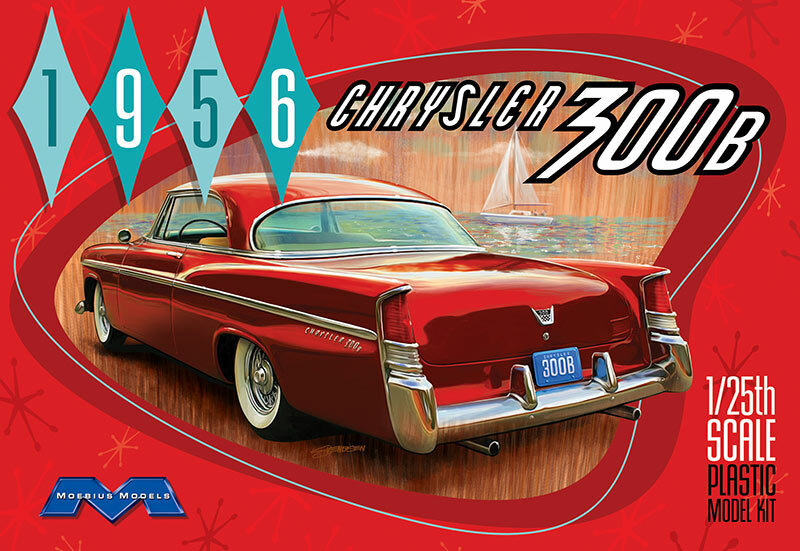 Over the years I have also created many forms of automotive artwork and design. From race car paint schemes to models, paintings, illustrations, products and video productions. I've also had the pleasure of designing packaging art and decals for several model kit companies including Model King, Moebius, RC2, Revell, Monogram, Lindberg and IMC. On this site is a section called the Graphic Design and Illustration Gallery. It contains a few of my automotive related art projects from my personal portfolio. Some of these projects were created as professional projects and some were for just for fun. If you are in need of automotive design, illustration, graphic design or model building work please e-mail me for more info. Also within this site there are several other categories of topics. The Model Car Gallery features most of the model cars that I have built over the past thirty or so years. I believe my grandfather got me interested in model cars when I was probably 4 or 5. I remember the first kit we built together was a Lindberg 1/32 scale '49 Ford. I remember brush painting it yellow. He was also a car guy. The '67 Camaro and the '63 Fury in the picture were his. The Sven's Rides section features information and photos about my large scale play things. The Studio Tour features a glimpse into the basement hideaway man cave I created for myself. Every car nut needs one of these. And lastly, there is the obligatory Links page. Connect yourself to more automotive madness.